Do it right, call day and night! We do domestic and commercial plumbing, drainage and gas work. Check out our current projects to see what we’re up to. Gas Fitting – New installs of gas appliances, service, repairs, conversions anything to do with GAS we can get it sorted for you. We can help you to design and install new systems as well as maintain your existing appliances. We have vast experience in both domestic and commercial gas fitting and can work with you to create the perfect system to meet your needs. Plumbing – We do hwc, maintenance, renovations, new housing, water mains, spouting. Our expert licenced plumbers have over 50 years’ combined experience working on both domestic and commercial projects. No job is too big or too small; we do anything from installing new bathroom taps and small maintenance jobs to planning and fitting out commercial developments. 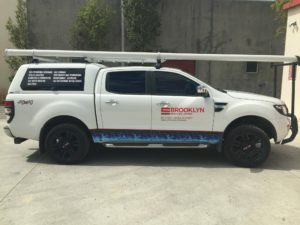 Drainage – Colour drain camera inspections, blocked drains, drain alterations, storm water systems, grease traps and septic system installation and repairs, new houses. Our drainlayers are licenced professionals who take pride in their work and go the extra mile to provide top quality service every time. Whether you need a drain inspected or a new, state of the art septic tank installed, we will arrange it all. Leak Detection – We use the latest gear to pin point leaks underground in awkward locations to eliminate digging holes all over the place. Utility Locating – We locate underground services so you avoid them when excavating. We have extensive experience in location of underground services for both domestic and commercial customers. Our highly skilled team of utility locators are here for everything from full street mark outs to letting you know what to avoid cutting into when putting in that new deck. We use the latest technology and equipment to ensure that you receive the fastest and best service at a great price. Call us today and organise everything in one phone call. For those of us in the Canterbury area we can video inspect your underground drainage if buying or selling or even staying at the same place because its best to get in and check your drains before its to late and you can no longer claim it back. Visit Zip plumbing plus in Christchurch or Auckland and check out there show rooms for all shower, vanities and toilet products. Beautiful spot for Ash to be doing a pre pipe, Lake Brunner and its not raining.